The average cost of memory care in Nashua is $6,730 per month. This is higher than the national median of $4,650. Cheaper nearby regions include North Chelmsford with an average starting cost of $4,790. To help you with your search, browse the 2 reviews below for memory care facilities in Nashua. On average, consumers rate memory care in Nashua 5.0 out of 5 stars. Caring.com has helped thousands of families find high-quality senior care. To speak with one of our Family Advisors about memory care options and costs in Nashua, call (855) 863-8283. In New Hampshire, more than 20,000 individuals aged 65 or older have Alzheimer's disease, and this number does not include those with age-related dementias. For older residents of Nashua, New Hampshire, a city located just north of the Massachusetts border and about 35 miles south of NH's capital of Concord, there are 13 memory care facilities in the area, with three located right in Nashua and 10 located in nearby cities and suburbs, including Salem and Bedford. In New Hampshire, special provisions exist for assisted living residences (ALRs) that provide specialized memory care for residents. For instance, facilities with fewer than 16 residents must install a wandering prevention system if awake staff are not available overnight. Nashua, New Hampshire, is located in New England, so it experiences four distinct seasons, the most pleasant of which are spring, summer and fall. The area has beautiful foliage during the fall months, which seniors in memory care facilities can enjoy outdoors. Winters are a bit tough in Nashua, as the area receives an average of 57 inches of snow per year, more than double the U.S. average of 26 inches. Families of seniors looking for memory care facilities will want to keep this in mind. Compared to other areas of New England, including Boston, Massachusetts, living in Nashua is relatively affordable. Based on a cost of living index where the U.S. average is 100, the cost of living in Nashua is 119.3, significantly lower than Boston, which is around 180, and is right on par with the rest of New Hampshire, which is 114. New Hampshire, one of the few states in the U.S. without a sales tax or income tax, is considered to be very tax-friendly toward retirees. Family members searching for memory care facilities for their loved ones will be happy to know that Social Security income is not taxed, nor are withdrawals from retirement accounts. Public and private pension incomes are also not taxed. This means seniors are able to keep more of their retirement income. Nashua is home to world-class medical facilities, including those specializing in brain health and dementia care, such as St. Joseph's Hospital and Southern New Hampshire Medical Center, in the event of medical emergencies or illness. Memory Care costs in Nashua start around $6,730 per month on average, while the nationwide average cost of memory care is $4,778 per month. It’s important to note that memory care rates in Nashua and the surrounding suburbs can vary widely based on factors such as location, the level of care needed, apartment size and the types of amenities offered at each community. 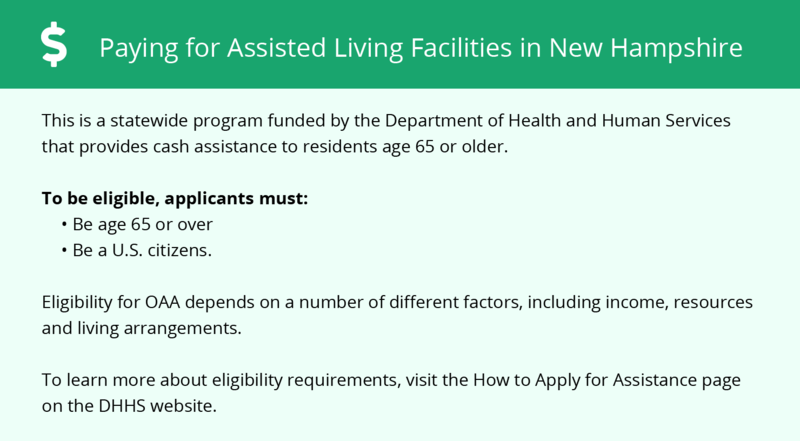 Nashua and the surrounding area are home to numerous government agencies and non-profit organizations offering help for seniors searching for or currently residing in an assisted living community. These organizations can also provide assistance in a number of other eldercare services such as geriatric care management, elder law advice, estate planning, finding home care and health and wellness programs. To see a list of free memory care resources in Nashua, please visit our Assisted Living in New Hampshire page. 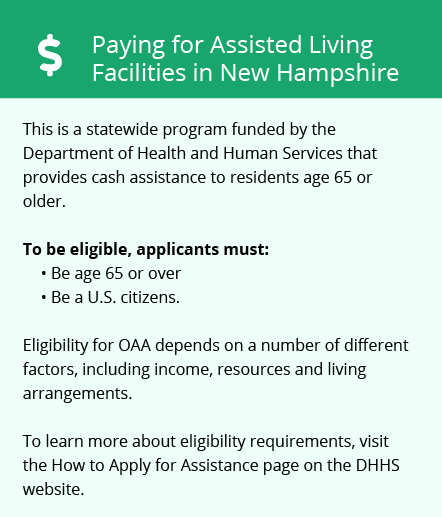 Nashua-area assisted living communities must adhere to the comprehensive set of state laws and regulations that all assisted living communities in New Hampshire are required to follow. Visit our Memory Care in New Hampshire page for more information about these laws.